Where to Get Blog Content? It is good if you have time to generate and develop new ideas for your blog posts on your own. Besides, there are many useful tips on how you can enrich your blog with interesting articles as well as find sources for new ideas yourself. We will share them a little bit later, at the end of the article. We will do so because there are those who are looking for quicker solutions and they simply won’t make it to the last lines of the blog entry. Those who look for ideas on how to do it without the involvement of third parties are likely to fail; therefore, we chose to go with the quickest solution first. There are tons of versatile websites where you can purchase blog posts, i.e. order custom writing service at one of the writing companies who will deliver the requested content within a specified deadline. However, there are more and more problems with the quality of writings that such companies can provide. Besides, many scams appear to be reputable writing agencies and there is very little chance you will not come across one of them if you want to buy blog content online. But despite these facts, getting high quality online content quickly is still possible thanks to professional writing services that still exist today. One of the newest freelance writing companies, Writology, deserves a special attention as the platform gains popularity among top freelance writers today. Writology is an online platform where writers and those who need written content come together. This website has also become a place where companies and bloggers used to get unique blog content as a quick and relatively cheap way to go. For example, if you need specific content to be written you just go to Writology and place your order there. After you are done filling out an order form, the project will be posted and all writers will be able to see it. In the order form, you can choose the amount of money (budget range) you would be prepared to pay as well as set the deadline for the order. The writers, who are interested and eligible in the area specified in the order form, will send their bids on your projects, and you will be able to choose one that seems to be the most qualified. The good thing about Writology is that the money you pay for the project isn’t released to the writer unless you approve so. 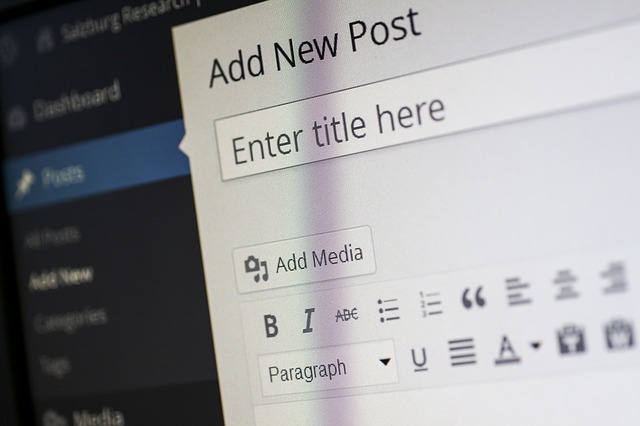 Blog content writing services seem to be outdated today as most of them simply can’t meet the needs of blog owners, and their working process requires significant improvements. Writology seems to answer most of the challenges of today presenting a wide selection of options and additional features to help those who want to buy unique blog content. For example, every writer can sell a pre-written text which may be an excellent choice for those who are looking for blog articles for sale. All you have to do as a customer is just preview the pre-written text the writer has in his/her account and if you like it, just hit the buy button. Blog articles for sale is a good option for people who need generic and high quality content to update a website with. Writology then seems like a place worth paying a visit for people who want to buy decent blog content with no haste. Read books. This is a great source for finding new ideas for blog posts even if it seems like the book title (and content) has nothing to do with the narrow vector of your blog. The thing is that ideas discovered when reading a book can give you an inspiration to almost any area of your life, including blogging. Talk to your readers. Asking your audience directly about what they want the next post to be about may sound very simple, nonetheless it is a very effective way to interact with subscribers as well as a great way to disclose new things you can write about. Do some research. If you can’t ask your subscribers directly, do a research and find out what your niche readers like/want to read about. This little inquiry will definitely lead you to some ideas of what you can write about in your blog. Scan social media and online communities. These are the places where you can see people talk about what is interesting. Such platforms are gold mines for new ideas. All you have to do is check the types of question people keep asking there. Check what others are doing. Visit blogs similar to that one of yours may give you tons of ideas. You may either copy what has worked for others, or seeing their blogs will lead you to new ideas of your own.